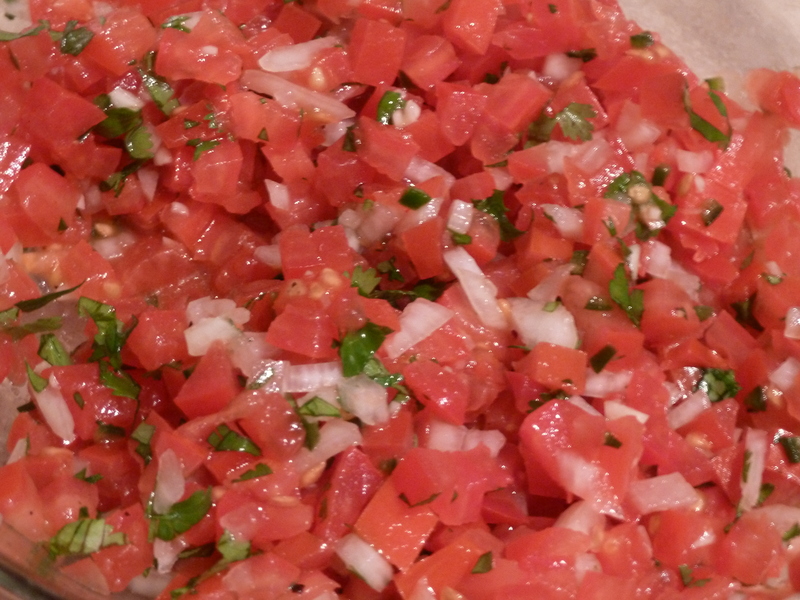 fresh salsa | Is there any wine left? 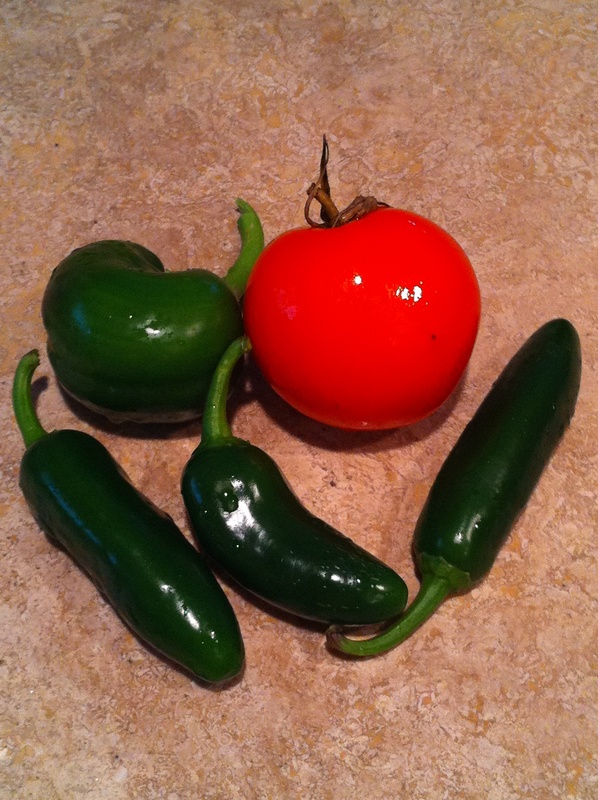 I was inspired to make fresh salsa after I found these jalapenos, tomato and bell pepper in my garden this week. Of course, I had to buy a few tomatoes — my plants just aren’t producing fast enough. This is my mom’s recipe and its a family favorite. 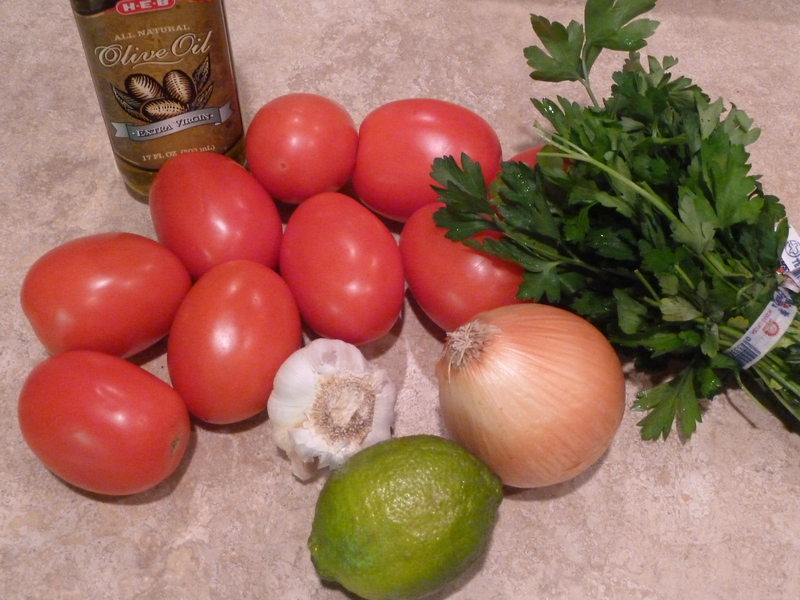 The cilantro gives it a really bright flavor and the jalapeno adds a nice kick. We eat it on tacos and fajitas and use it as a dip for tortilla chips. 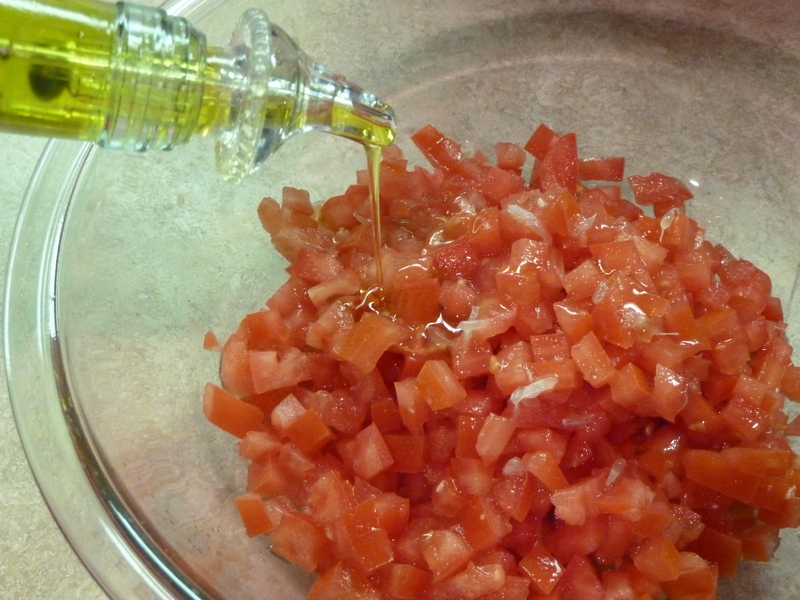 You can chop the ingredients as small or large as you like to reach your preferred consistency. 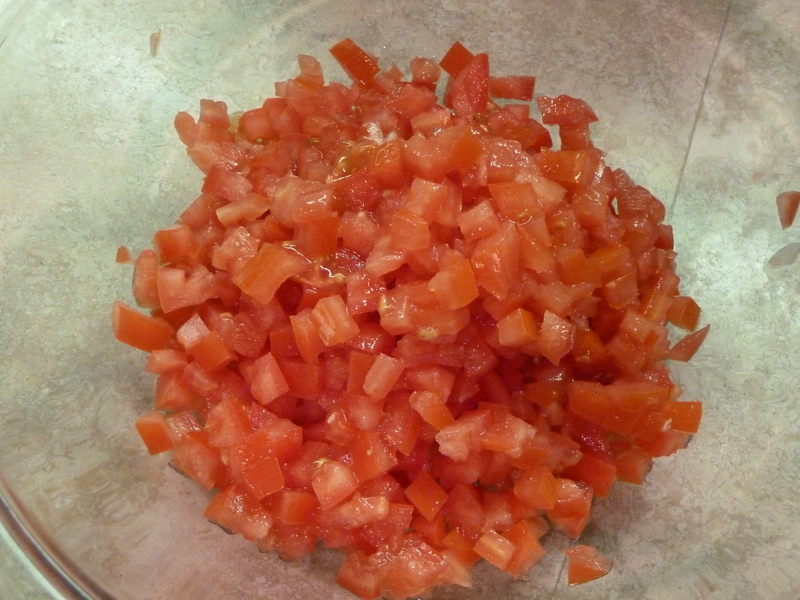 I really like it with small pieces of tomatoes and onions and my mom likes it chunkier. Be sure to make it early enough to let it sit for a few hours or overnight so the flavors really meld together. 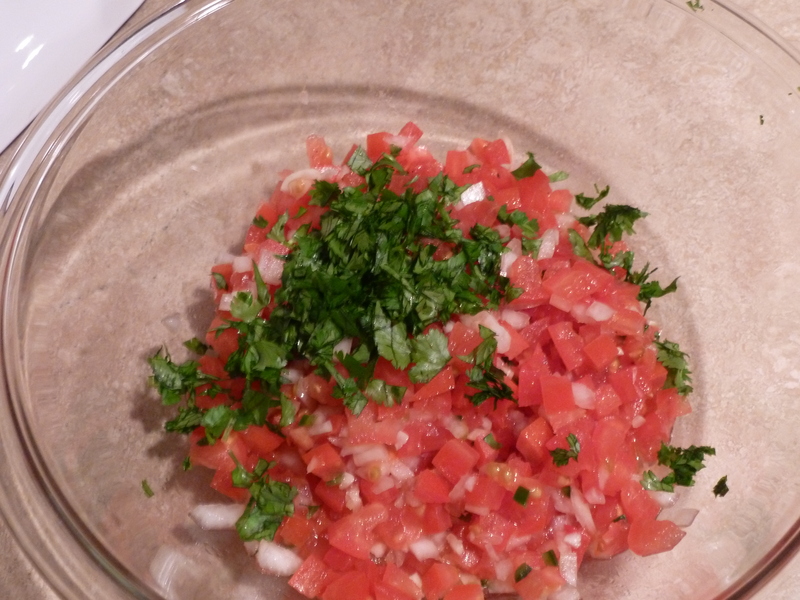 I like to use red onions, which have a milder flavor, more in this salsa. But I didn’t have any and wasn’t running to the store just for that. Onward. 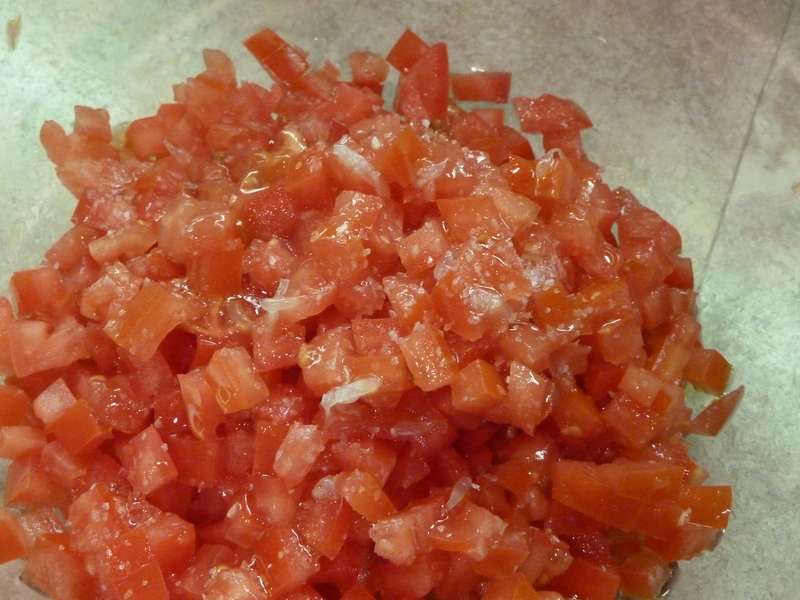 Start by chopping the tomatoes and adding them to a medium-sized bowl. Stir it together and taste for seasoning. Add more salt and cumin if necessary. Refrigerate for a few hours before serving. Will keep for 3-4 days covered in the refrigerator. 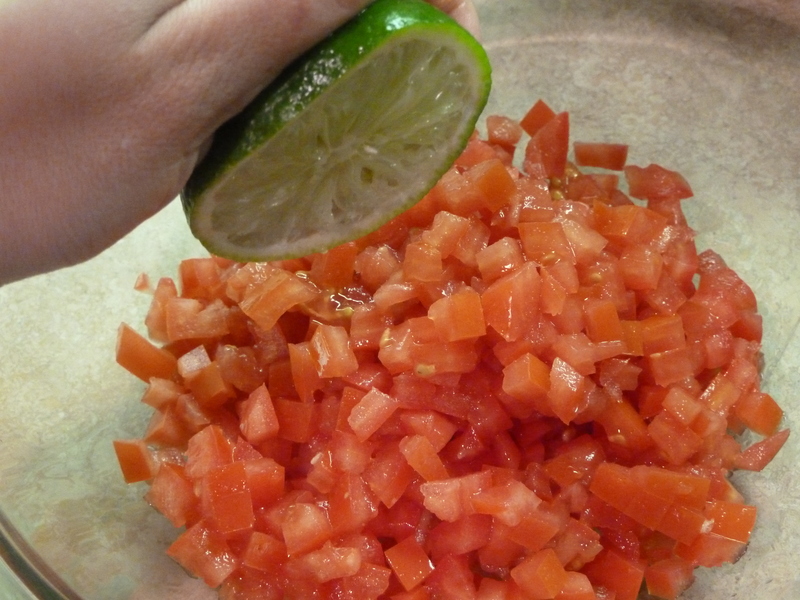 Serve with tortilla chips for dipping or spooned onto tacos. 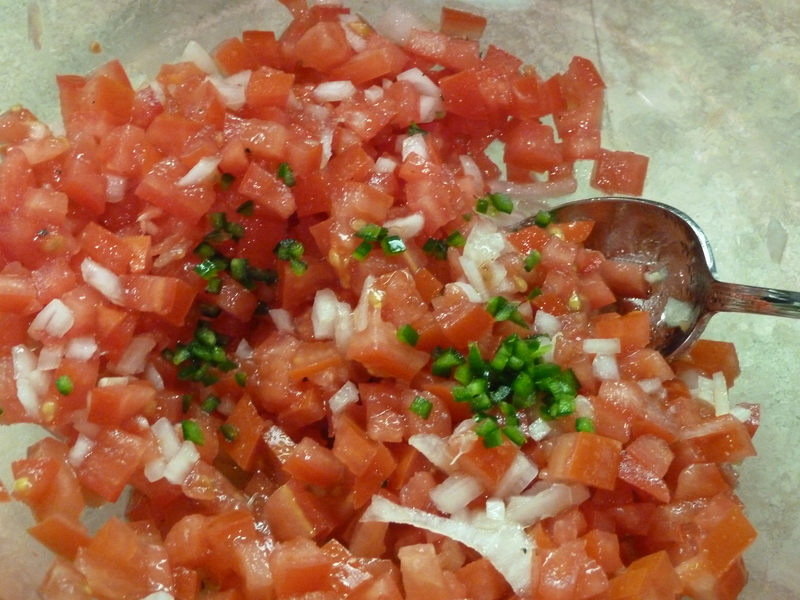 Mix all ingredients in a medium-sized bowl. Taste to check for seasoning and adjust as necessary. Refrigerate for a few hours before serving. fish tacos « Is there any wine left? turkey taco cups « Is there any wine left?